The sensor accuracy for a precision never experienced before. A new category in the seed monitoring. 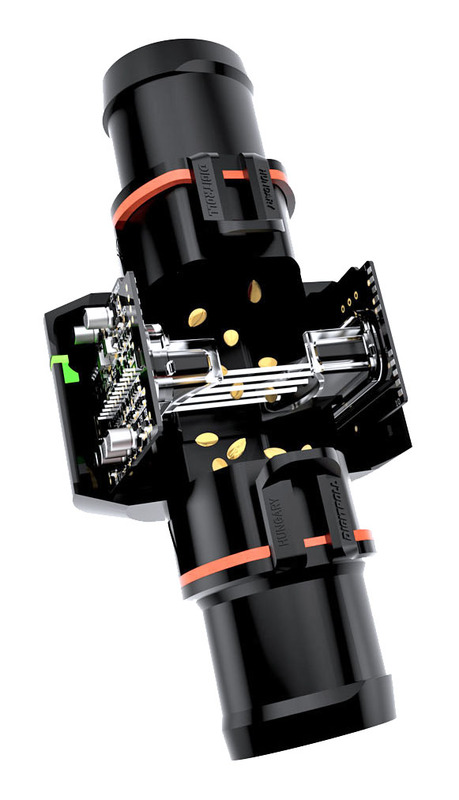 The standard-setting BlackEye seed sensors are able to count fast moving seeds in hoses and also detect granular fertilizer flow. Close to 100% seed count accuracy enables to set the exact seed rate value on your machine. A brand new blockage detection technology* allows differentiation between intent seed rate changes (e.g. VRA – variable rate applications) and eventual blockages on air seeders. This eliminates the often annoying false alarms that came when the seeder ground speed or the application rate was changing. Only real blockages are alarmed within 1 second, even in case of the smallest seeds. 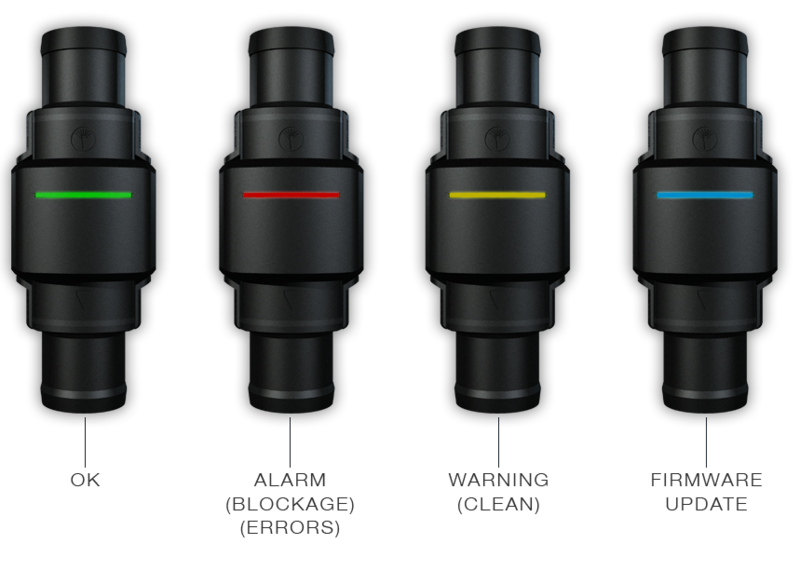 Developing blockage processes are also alarmed and the shut-off rows can remain free from false alarms. 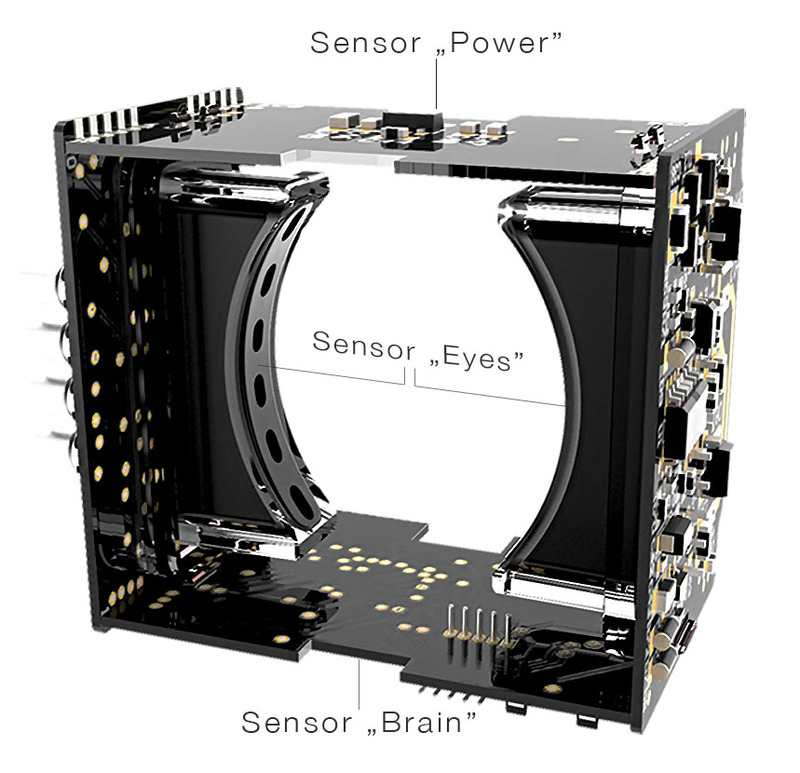 To get a powerful computing performance, we needed to use every millimeter of space inside the BlackEye Sensor enclosure. We created folded electronic boards, custom shaped to fit the specific contours of the enclosure. So all the available space in the enclosure is used, and you have compact sized and easy to install seed sensor. Thanks to the integrated RGB status LEDs the troubleshooting has never been so easy. Digitroll has more than 20 years experience in seed sensor development. Following a long planning, testing and simulation period, the sensor inner shape, electronics and optics design were created along with parts positioning. Sensor detection zone reach full coverage with no dead space, the special IR transmitters homogeneously cover the whole of sensor inside area. 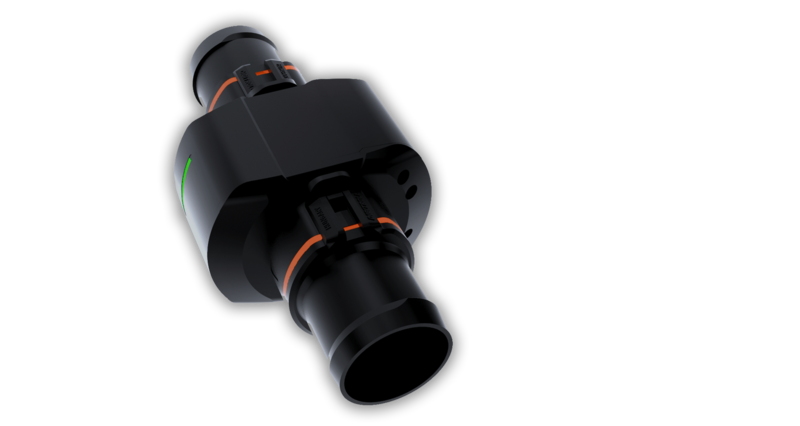 Consequently, BlackEye sensors are able to sense on each point of detection zone and accuracy is not influenced by sensor inclination angle. 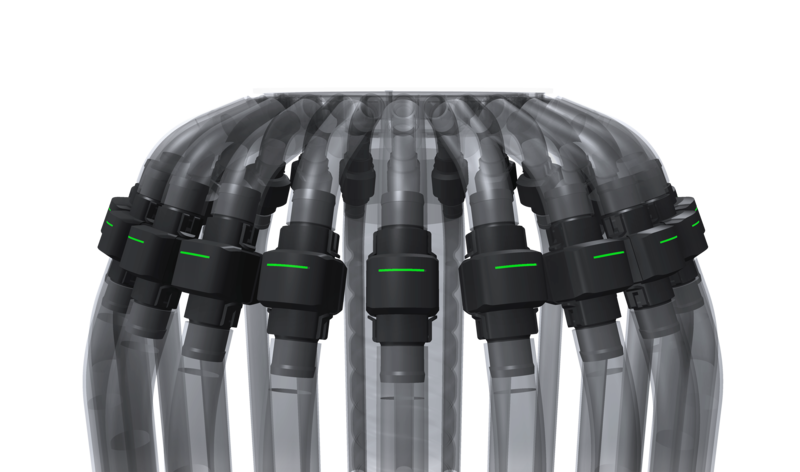 Shorter installation time on seed tubes was also in mind: there is no need for hose clamps, even cleaning is simple thanks to SnapLock- Tube Adapter that enables a one step sensor opening just by hand.